In most communities, garbage day isn’t every week. So, if you show your house on day five or six, there’s going to be some accumulation! Here are some things you can do before a viewing to make sure this situation doesn’t trash a potential sale. 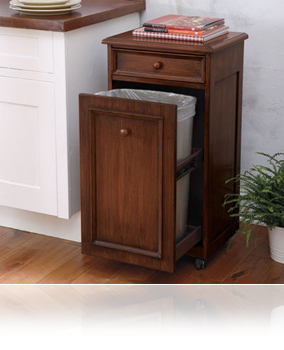 If possible, make sure all garbage containers, including waste paper baskets, are empty. Since compost and cat litter bags can smell even when tied securely, put them in a covered bin in the garage or outside at the side of your house. Check around your property for accumulated debris, such as old lumber. If you’ve been planning a trip to the dump someday, today is that day. In addition, make sure garbage containers in the kitchen and bathroom have new plastic bag inserts. You may go through more than usual, but it will be worth it.